Go to Rite Aid careers site at riteaid.com/careers and search for current job openings by clicking “Explore Employment Opportunities”. You can also choose to join Rite Aid Network Talent to enhance your job search and application process. 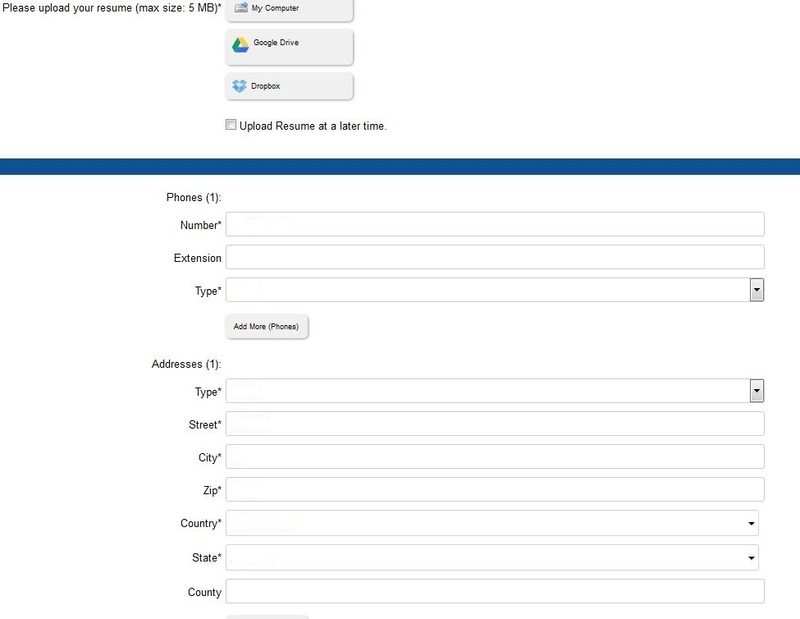 You can then enter info like job title, position, keywords, city, state or zip code to search for jobs. Or you can select a job category from Pharmacy Health Care, In-Store Team, Field Leadership, Supply Chain Logistics, Corporate Headquarters and Internships. Note: In order to get a whole list of Rite Aid job openings, you can simply click “Search” with no info entered. After clicking “Search”, a complete list of job openings will be displayed in this page. Select one position and click it according to your own experience and qualifications. Read carefully about the job description to make sure that you’re qualified for the position you selected. And then click “Apply Now” to begin your online application. In order to apply for the job online, you need then to build your profile, either from an external social account, like Facebook, Google+ and LinkedIn, or online with your resume or form. 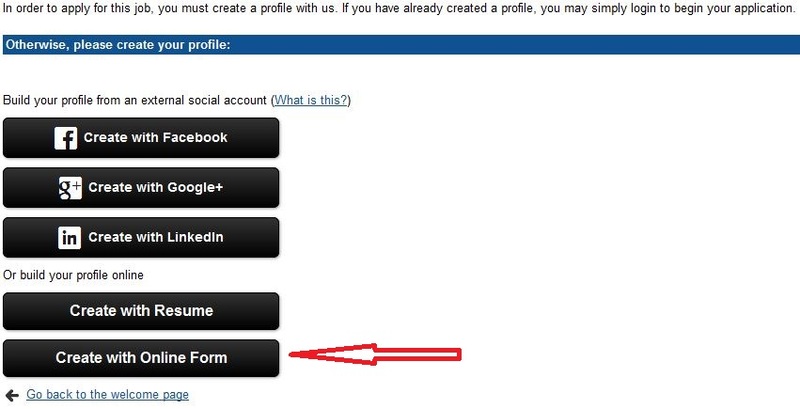 Take “Create with Online Form” for example. To successfully create your profile, you’re required at first to offer your basic information to Rite Aid, your name, email address, password and so on included. A field marked with * indicates that the information is required. Click “Submit Profile” to go on. In this step, you shall upload your resume from your local computer, Google Drive or Dropbox and provide Rite Aid with additional information, like your phone number, addresses, expected salary and so on. 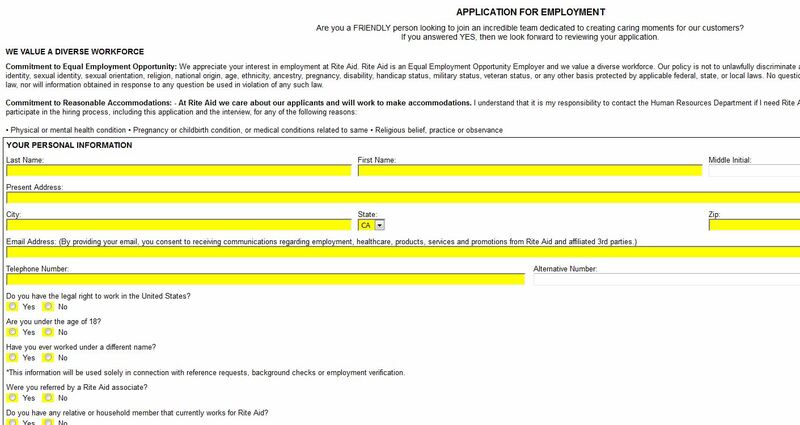 To finish your online application, you’re required to complete the Rite Aid application for employment form by telling Rite Aid about your personal information, position applied for and availability, education background, work or other relevant experience, professional licenses and so on. Be sure to fill out all needed info, review it thoroughly and then submit it. All you need to do next is wait for an interview call. Click www.riteaid.com/careers to apply for Rite Aid jobs online.